World's first WebRTC powered HTML5 Virtual Classroom in 50 languages. 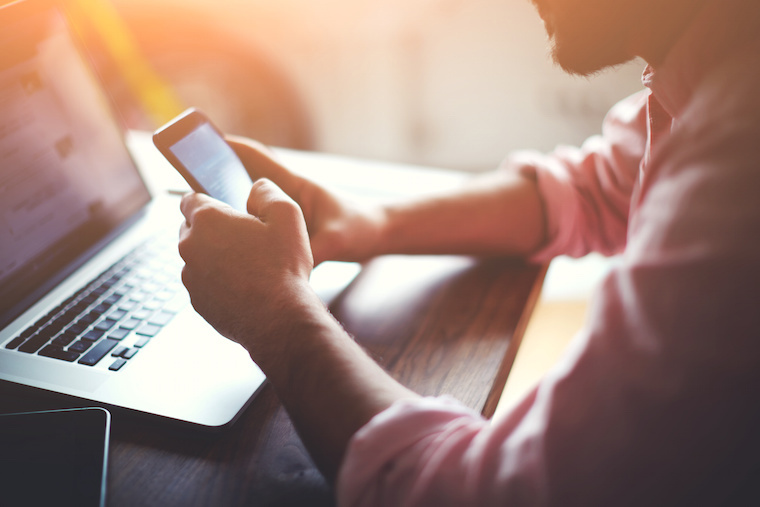 It's time we rethink online training. BrainCert is redefining the way people learn, teach & collaborate online. BrainCert leverages Internap's Performance IP™ feature in select locations (New York, California, Dallas and Singapore) and leverage the next-generation Managed Internet Route OptimizationTM (MIRO) technology. Performance IP™ enhances BGP by considering additional factors to find the fastest path, including latency, jitter and service-degrading brown and black outs. 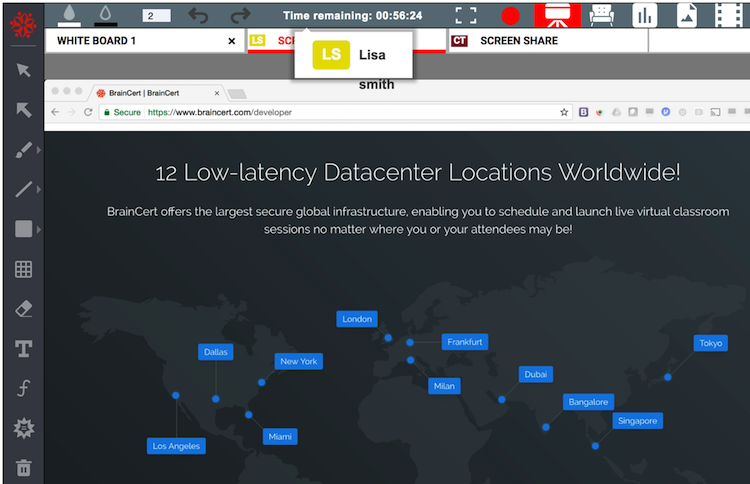 All datacenter locations (including Internap's Performance IP™ locations) leverage BrainCert's disruptive WebRTC Alternative Route Path (WARP) technology that offers best possible performance to end users. This self-healing algorithm automatically fixes ICE connection issues and provide reliable, stable and consistent connectivity. Built with HTML. Powered by . Tailor-made to deliver live classes, meetings, webinars, and conferences to audience anywhere! HTML5 Virtual Classroom functions in nearly the same way as a traditional physical classroom and it comes integrated in both E-Learning Platform and Enterprise LMS product offerings. Developer API available. Collaborate face-to-face with your attendees in real-time enlarged video conference mode with automatic speaker detection. Enlarged conference mode supports up to 20 video streams due to screen limitation. There is no limit for audio streams. Every pixel of the Virtual Classroom has been completely redesigned to give you the power to write or draw effortlessly. True responsive whiteboard that looks the same in all devices - be it Mobile, Web or Tablet. Powerful line tools and advanced shapes such as triangle, rhombus, pentagon, hexagon, cylinder, cube, cone and other shapes in the whiteboard makes it easy to deliver any type of creative and educational training online. Now you have full control over showing your presentations and documents in whiteboard. Rotate, annotate, highlight - all the essential document tools to engage your attendees. Instructor can control the Play, Pause, and Seek controls when streaming a video or audio file or give back the controls to attendees to control it on their own. Your videos are streamed securely using 256-bit SSL encrypted connection. Added support for languages written in a Right-To-Left (RTL) direction such as Arabic, Persian, Urdu, and Hebrew. RTL support gives your live classes a voice for the entire globe. Join Virtual Classroom sessions from Android and Apple iOS based devices using a supported browser without installing any app. 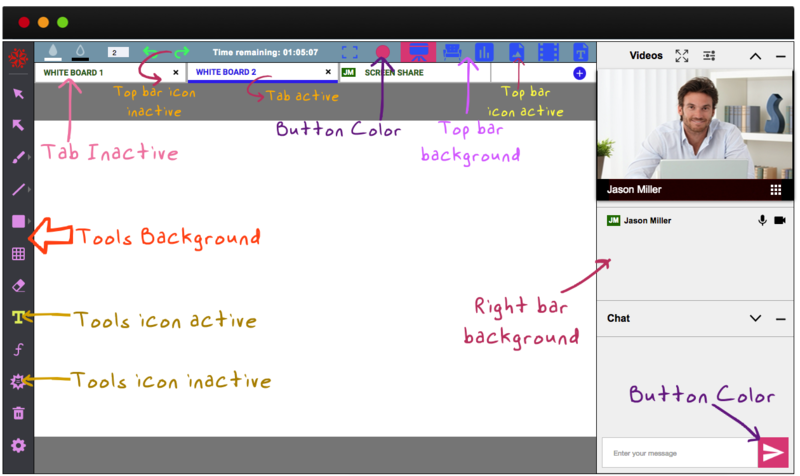 Full support for WebRTC based audio and video conferencing and responsive whiteboard experience. See this KB Note for browser support details. Our newly upgraded network traversal capability to the HTML5 Virtual Classroom software is quintessential for corporate people behind enterprise firewalls. This works transparently in the background keeping your users connected all the time even if they are behind strict firewalls and NATs. Customize your virtual classroom theme and colors by using the easy-to-use color picker tool. Brands and color are inextricably linked because color offers an instantaneous method for conveying meaning and message without words. 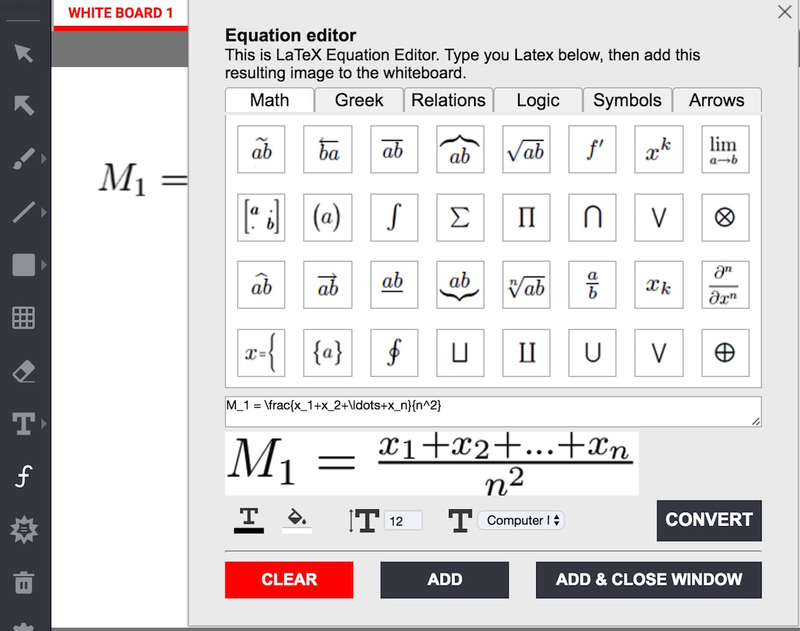 LaTeX Equation Editor is a powerful interactive tool that lets you create and display complex LaTeX mathematical equations inside whiteboard using a graphical UI without typing any LaTex code. 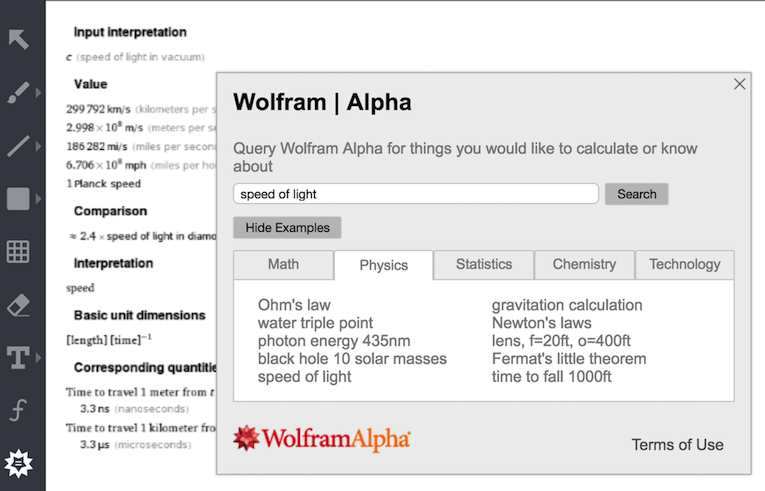 Wolfram|Alpha gives you access to the world's facts and data and calculates answers across a range of topics, including science, nutrition, history, geography, engineering, mathematics, linguistics, sports, finance, music... all right inside the whiteboard. Highly intuitive HTML5-based Group Screen Sharing in HD allows instructors and students to share their computer screens in tabbed whiteboard interface. Instructor can easily switch between multiple screens that are color coded for identification. Force interface language in specific language to all attendees with a click of a button or allow attendees to change the interface language to their mother tongue. 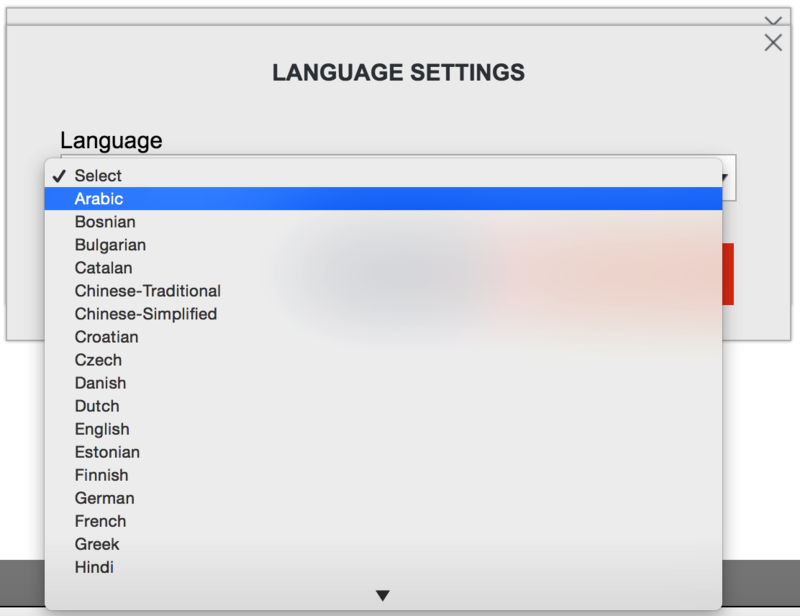 This intuitive and powerful feature allows you to offer over 50 human translated languages to your attendees. 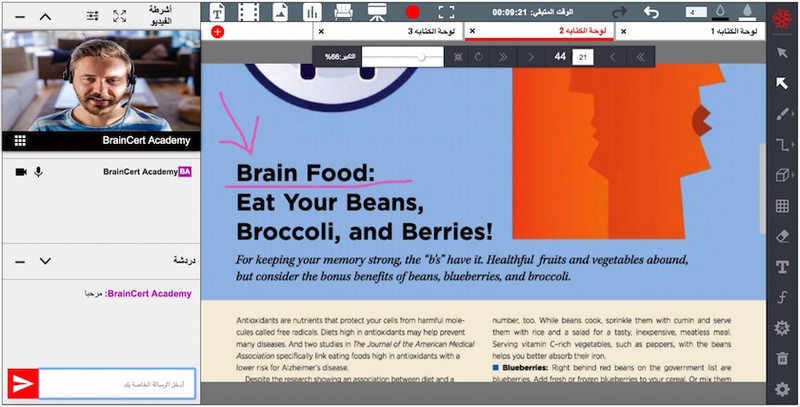 BrainCert's next-generation Virtual Classroom comes with several awesome features that are essential for seamless synchronous and asynchronous collaboration capabilities between presenter (teacher) and attendees (students). Concatenates multiple session recordings into a single video file at the end of the session with a click of a button or download multiple files. Powerful reporting and analytics dashboard to quickly and easily obtain a wide variety of useful data such as duration, time in/out, and attendance report about your attendees. Aesthetically pleasing landing page with responsive countdown timer that lets meeting participants know exactly how much time remains before the live class will begin. With just a few clicks, you can fully encrypt your custom hostname, improving your security and performance, increasing customer trust, and boosting your SEO. Integrated speed test tool to check your connection quality and latency to the connected datacenter location to check potential connection issues.. High-end custom STUN/TURN servers that works amazingly fast over Transport Layer Security (TLS) transport enable seamless connection to our global network. 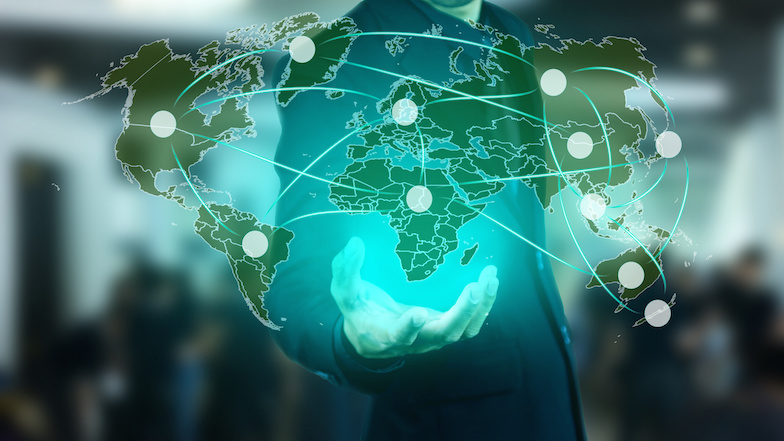 BrainCert's Alternative Route Path (WARP) technology offers superior connectivity and overall performance boost across all global datacenter locations. When there is intermittent network issues, our heartbeat mechanism will automatically retry your session connectivity to our servers without your intervention. BrainCert makes it easy to share files with your attendees in the chat window with automatic preview of image files when clicked. Attendees can save the chat transcript in their computer as a HTML file preserving all chat communications in a live session. Use a pen or stylus (or even your finger) to draw and write on the whiteboard on touch capable monitors in real-time. Supports 3rd party devices such as Wacom stylus. Play YouTube and Vimeo videos or upload and play MP4, MP3 and WEBM files from your content library using our light-weight media player in a live virtual classroom session.